Are you looking for fast & effective migraine relief? Buy Sumatriptan tablets from The Independent Pharmacy today from our UK-based online pharmacy. Sumatriptan tablets are the most common prescription migraine treatment in the UK and are a generic, low-cost version of the branded medicine Imigran. Sumatriptan tablets are available online in 50mg & 100mg strengths from The Independent Pharmacy, following a free consultation, to quickly relieve migraine symptoms. When used, and safely combined with painkillers or anti-sickness medicines, Sumatriptan can help you to quickly and effectively treat migraines, so you can get on with your day. Migraines are a common affliction that can cause extremely painful headaches, dizziness, nausea, as well as light and sound sensitivity. A migraine feels very different from a general tension headache. The pain is usually localised, severe, and can be debilitating. 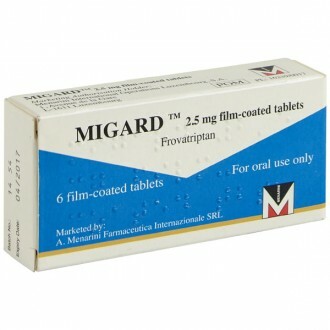 Triptans (aka 5-HR1 agonists) are often prescribed to help deal with the changes in the brain brought on by migraines. They mainly act by contracting blood vessels and stabilising brain chemicals. Your doctor will prescribe a triptan drug to you if ordinary painkillers aren’t enough to contain your migraines. Sumatriptan is a popular triptan drug that can also be bought as a more expensive branded version — sold as Imigran. Migraines are chronic and cannot be wholly cured by drugs like Sumatriptan, but they can help alleviate symptoms and improve quality of life. Migraine medication helps deal with the pain and discomfort brought on by a migraine attack - for the best results, medication should be taken immediately when symptoms first occur. Especially for chronic migraine sufferers, sumatriptan offers great pain relief. It can also be taken as a sumatriptan nasal spray if severe nausea makes swallowing tablets impractical. How does Sumatriptan work to treat migraines? Sumatriptan (generic Imigran) causes the blood vessels in the brain to contract. As some of the changes that occur in the brain to trigger a migraine attack are believed to involve the blood vessels widening, Sumatriptan helps reverse this process and relieve the symptoms of migraine. Sumatriptan effectively stimulates serotonin receptors in the brain, which cause the muscles surrounding the blood vessels in the brain to contract. Sumatriptan also stabilises some of the chemical changes that occur in the brain during a migraine attack. The active ingredient is sumatriptan succinate. Sumatriptan (generic Imigran) usually starts to work after 30 minutes, therefore it is important to take it as soon as possible after a migraine has started. Sumatriptan may not work for everyone; where it does not work, alternative triptans — such as almotriptan (Almogran) and frovatriptan (Migard) are worth trying. Originally, GlaxoSmithKline held the patent for drugs made using sumatriptan succinate, but that original Imigran patent has now lapsed — which means that other pharmaceutical companies are able to produce, and sell, cheaper versions of the same drug. The active ingredient (sumatriptan succinate) in Sumatriptan and branded Imigran is exactly the same. Though they are medically equivalent, generic Sumatriptan tablets are available at a significant cost saving compared to branded Imigran. Sumatriptan is available online in packs of 6 tablets that are not available over the counter. Sumatriptan 50mg & 100mg tablets are a prescription-only medicine (POM) that are available to buy from The Independent Pharmacy following a short, free online consultation to ensure they are safe and appropriate for you. Sumatriptan 50mg tablets are the normal starting dose for most people suffering from migraines, and they should relieve most migraine symptoms without the need for a repeat dose. If your migraines are severe, or you find the 50mg tablets are not as effective as you would like, you may wish to try the 100mg strength. Sumatriptan tablets should be swallowed whole and taken as soon as possible after the onset of a migraine to help reduce symptoms as soon as possible. You can repeat the dose after 2 hours if your migraine has not been relieved. You should not take Sumatriptan as a preventative measure when you are not experiencing any migraine symptoms. Sumatriptan 50mg & 100mg tablets can be taken with painkillers such as paracetamol, ibuprofen or codeine, or with anti-sickness medicines such as Buccastem to help treat any additional symptoms associated with your migraines. We stock a wide range of migraine relief medication, including other triptans, and nasal sprays, and wafer melts. 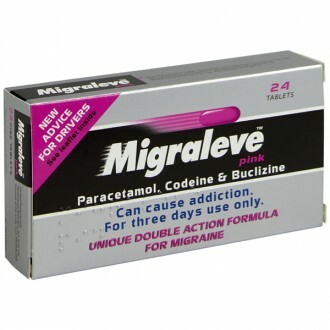 Take ONE tablet at onset of symptoms, dose may be repeated after at least 2 hours if migraine symptoms return. Maximum dose is 300mg in 24 hours (three 100mg tablets or six 50mg tablets). Sumatriptan should not be taken with other 'triptans' or with medication containing ergotamine. The side effects of Sumatriptan can include pain, heaviness, pressure or tightness in the chest, throat or other parts of the body, or unusual sensations, including numbness, tingling and warmth or cold. These effects may be intense but generally pass quickly. Please read the Patient Information Leaflet enclosed with your medicines for a full list of side effects. If you feel pain or tightness in your chest after you use sumatriptan, do not panic, the symptoms may be intense but they usually pass quickly. If they do not pass quickly or they become severe, get medical help immediately. If you take Sumatriptan 100mg tablets and you find that your medicine is effective but you get mild unwanted side effects, you may wish to lower the strength of your treatment to Sumatriptan 50mg tablets to see if they are still effective without the side effects. Each Sumatriptan tablet contains sumatriptan succinate as the active ingredient. Each tablet also contains: lactose monohydrate, hypromellose, microcrystalline cellulose, crosscarmellose sodium, magnesium stearate, hypromellose, titanium dioxide (E171), triacetin, red iron oxide (E172). Sumatriptan has been widely used for many years and is generally considered a safe form of medication. In some rare serious cases migraine headaches are associated with paralysis, loss of vision and loss of speech. When headaches are different from before or there are new symptoms. You use, or have recently used, ergotamine or similar medicines (e.g. 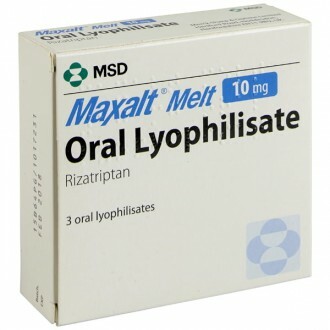 methsergide maleate) or MAO inhibitors (e.g. moclobemide or selegiline). I have been prescribed Sumatriptan but I used to get Imigran. What’s the difference? 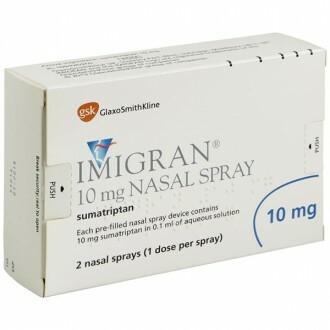 Sumatriptan is the medicine that is contained in Imigran tablets. Sumatriptan is now available as a generic treatment after the patent on Imigran expired. 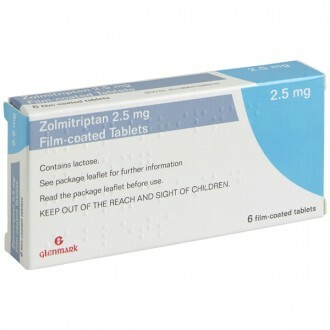 Generic Sumatriptan 50mg & 100mg tablets are available to buy significantly cheaper than the branded Imigran tablets. When a medicine is first introduced on to the market it is given a licence or patent. Only that manufacturer can produce it. When the patent expires, other companies can produce the treatment as well, usually leading to a dramatic drop in the price due to increased competition. Generic treatments are still produced by licensed manufacturers and must conform to the same strict manufacturing standards that the branded medicines meet. 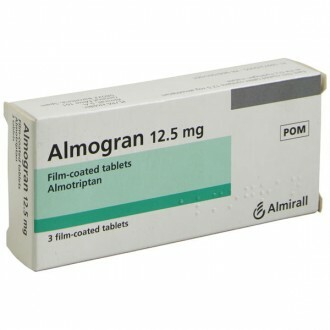 What do Sumatriptan/Imigran Tablets contain? Each tablet contains either 50mg or 100mg of Sumatriptan, depending on the strength you choose. They also contain inactive ingredients that are used to make up the tablet to the right size and agents in the manufacturing and tableting process, for more details please see the 'Ingredients' tab above. Migraines are thought to be caused by the widening of blood vessels in the brain. Sumatriptan helps to contract and narrow these blood vessels, returning blood flow to certain areas of the brain back to normal. In adults 18 years and over, the dose of Sumatriptan is one tablet, as soon as possible, at the onset of migraine. You can repeat the dose after 2 hours if the migraine has not subsided. You should not take more than 300mg (6 x 50mg OR 3 x 100mg tablets) in a 24-hour period. You should take your treatment as soon as possible at the onset of migraine symptoms. Sumatriptan is most effective when taken in the early stages of a migraine attack. Can I use other migraine treatments with Sumatriptan/Imigran Tablets? You can use painkillers and anti-sickness treatments with Sumatriptan. Paracetamol, ibuprofen or aspirin-based painkillers. Anti-sickness medication like Buccastem or Prochlorperazine Buccal Tablets. All the ‘triptan’ drugs have a similar mechanism of action and do not offer any additional relief when taken together. As they all belong to the same family of medicines and act in the same way, you would risk exceeding the maximum recommended daily dose and causing adverse effects. Why can I only buy three packs of Sumatriptan Tablets online at one time? Sumatriptan tablets are a prescription-only migraine treatment. For that reason, to ensure the safety of our patients and the legal operating of our pharmacy, we only supply a maximum of 3 packs of treatment at one time. This allows us to balance offering our patients an adequate supply of treatment with regular checks on their condition, symptoms & effectiveness of treatment. This model ensures the perfect mix of convenience with optimal health & safety. Should I take Sumatriptan (Imigran) with food? There are no specific requirements to take Sumatriptan with, or without, food. It is best to take it as soon as possible when a migraine starts as often nausea or sickness can kick in, or digestion can slow down, meaning that the tablet can be harder to take or could be less effective. None of the above should have any affect on Sumatriptan. You may want to avoid alcohol during a migraine as this could possibly make it worse. Although Sumatriptan is not affected by the contraceptive pill, migraines can be linked to hormonal changes during your period. Are Sumatriptan Tablets available for next day delivery? Yes, we understand that sometimes you want to get your treatment as soon as possible. If ordered before 4pm Monday to Friday, tablets are available for next day delivery. Is it safe to buy generic Sumatriptan online? Yes, as long as you are buying from a website that is a legally operating and regulated pharmacy it is perfectly safe to buy Sumatriptan online. The Independent Pharmacy is an NHS Online Pharmacy based in Bristol and has all the necessary regulation to be able to safely provide convenient access to genuine prescription treatments through our Online Pharmacy & Online Doctor. 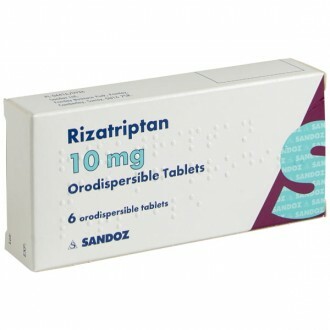 How do I buy Sumatriptan (Imigran) Tablets online? Just select 'Start Consultation' above next to the product or on the links below. You will need to fill in a simple health questionnaire so our GPs & Pharmacists can ensure it is safe for us to supply your Sumatriptan to you. It only takes a few minutes and your treatment can be delivered to your door as soon as the next working day. Does Sumatriptan help to prevent migraines? 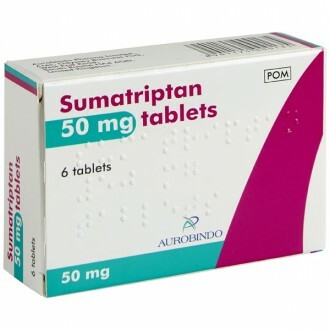 Sumatriptan, and other ‘triptans’, are used to treat acute attacks of migraine. They work by reversing the widened blood vessels in the brain that cause migraines. For this reason they should only be used to treat existing, or oncoming, migraines and not to prevent them. Sumatriptan tablets will not be effective in preventing migraines that have not occurred yet and may even contribute to making your headaches/migraines worse due to overuse if they are used as a preventative treatment. Although it helps to relieve migraines, Sumatriptan is not a painkiller. It will help to relieve migraines and therefore the pain that is associated with it, however this is a secondary effect. Sumatriptan can be used alongside traditional painkillers such as paracetamol and ibuprofen if extra pain relief is necessary whilst the Sumatriptan is taking effect. Will Sumatriptan (Imigran) definitely cure my migraines? Sumatriptan is an extremely effective migraine treatment for many people with mild, moderate or even severe migraine symptoms. Some people may find that Sumatriptan is only mildly effective, or even ineffective. This is nothing to worry about if this is the case. Sumatriptan is not effective in everyone, and if after trying it on a number of occasions without getting the desired results, you can try a different migraine treatment. Triptan migraine treatments all have the same mechanism of action, however people respond differently to them for unknown reasons. If one treatment, such as Sumatriptan, has not had the desired effects, it is worth trying a different treatment to see if your migraines respond better. Are there any other things I should be doing to help my migraines? The additional steps you can take to aid your migraine recovery will vary with each person and depend on the specific symptoms experienced. For example, people who suffer with sensitivity to light should sit or lie in a darkened room. Those who experience issues with sound should go somewhere quiet or use a good pair of earplugs to avoid irritating their symptoms further. The most important thing is to analyse the symptoms that you suffer with and take steps to relieve them. Can I break the Sumatriptan 100mg tablets in half if needed? We would not recommend breaking tablets in half in order to change your dosage. Unfortunately not all tablets are scored to allow easy breakage and you can never be sure that the drug is evenly distributed throughout the tablet. This means that you cannot be sure of the dose that you are taking – it could be over or under what you intend. Sumatriptan is available to buy in both strengths of 50mg and 100mg. If you vary your dose depending on the severity of your migraine we would always recommend you use the correct strength tablet. Is it cheaper to buy Imigran from my local pharmacy or buy Sumatriptan online? As you can see from the prices above, it is significantly cheaper to buy Sumatriptan (generic Imigran) online from The Independent Pharmacy rather than Imigran Recovery tablets on the high street. You can save over 50% on migraine treatment when you buy online. This medication is not addictive but if taken very regularly then some patients may find that withdrawal symptoms may occur after long-term use. You should only take this medication under the supervision of a doctor. There has been little evidence into the relationship between anxiety and Sumatriptan medication. However, if you suffer from increased anxiety in the duration of your treatment, you should consult your GP. Can Sumatriptan cause weight gain? There is no proven relationship between Sumatriptan treatment and weight gain. Does this medication work on regular headaches? This treatment often relieves other symptoms that occur together with a migraine headache, such as nausea, tension, vomiting and sensitivity to light. If you have a regular headache, you should use painkillers with lesser strength, such as paracetamol, to prevent overuse. Can I use this medication when pregnant or breastfeeding? There have been no studies to suggest that this medication is safe to use when pregnant or breastfeeding. Therefore, it is advisable that this medication is not used in these cases. Can you drive while taking Sumatriptan medication? Sumatriptan can make you feel tired or sleepy. If this happens, avoid driving or using heavy machinery for your own safety. Hallucinations are a rare side effect of Sumatriptan medication. If you are affected by hallucinations, consult your GP immediately. What other forms is Sumatriptan available in? This medication can also be taken as a nasal spray or injection. Can I take Sumatriptan if I have high blood pressure? This medication may raise blood pressure. Therefore, people who have uncontrolled high blood pressure (hypertension) should not take this medicine. If you blood pressure is controlled and then this is a good treatment option for migraines. Can I take this medication while taking antidepressants? 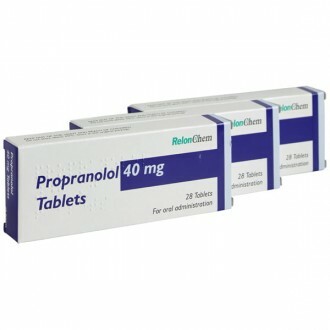 People who are taking monoamine oxidase-A inhibitors should avoid taking this medication. If you are unsure about how your medication will react with Sumatriptan, consult your doctor or ask us, we are happy to help. Can you take Sumatriptan and ibuprofen? Yes, you can take Sumatriptan and ibuprofen at the same time. There are a few different triptans, and you may have to test them out first to see which one works for you. 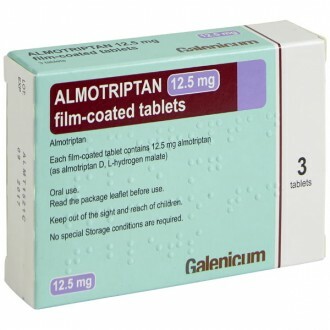 Sumatriptan is popular and had good reviews, but there are also others like Almotriptan you may want to consider. Don’t forget that if nausea is a problem, you can avoid taking triptans in tablet form.